Quaint diner on Broad street in Hopewell. Owner Lisa has been in the restaurant businesses most off her life and her passion for quality and homemade cooking is vert evident. Asked why she opens at 8:30 in the morning, seemed kind of later. She said ” that in that area of town customers don’t start arriving until then. Offering home cooked meals with daily specials. 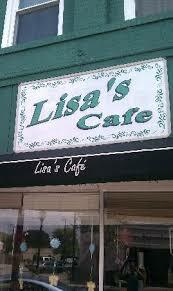 Debbie and I stopped for breakfast, great meal good service.